You are probably aware that slices of toast, croissants or Danish pastry aren’t the best options for a healthy breakfast. However this does not mean that a good, filling and healthy breakfast has to be boring! The following recipe is one of the most loved recipes on my blog – and the most common breakfast in our house. We call it chocolate pancake omelet. Mash the banana and whisk everything. A quick version is to blend using a hand held blender – then you don’t even have to mash the banana first. Fry in a bit of coconut oil or other fat in a pan for 3-4 minutes until more or less solid. Flip around and fry the other side for another minute or two. Serve with fresh fruit and possibly a spoon of natural yogurt or a bit of nut butter. Use a cast iron skillet or other ovenproof pan. 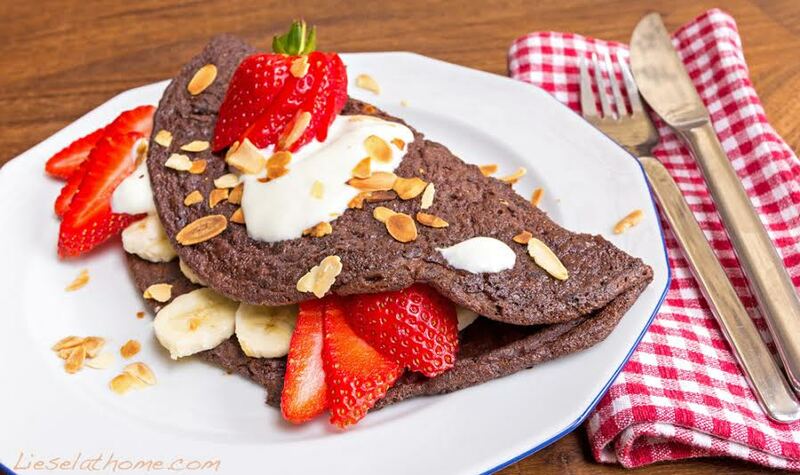 Heat up with a bit of coconut oil, add the chocolate pancake batch and fry on the stove for 3-4 minutes. 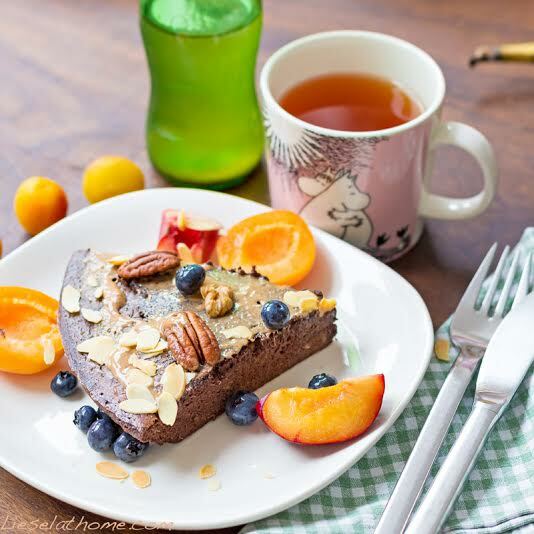 If you feel a bit adventurous sprinkle some nuts over the chocolate pancake omelet. Then transfer to a warm oven (180 C / 360 F) and finish baking there for 20 minutes. Add walnuts to the pancake omelet before baking. 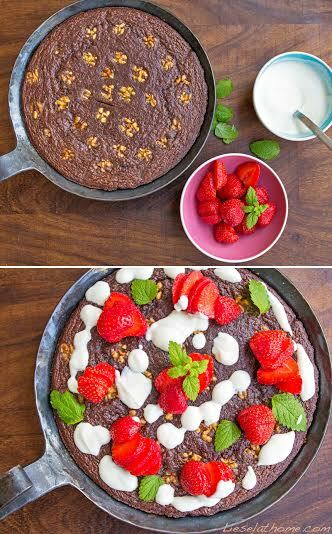 Drizzle with yogurt and top with strawberries and mint leaves. Add almond slices to pancake omelet before baking. 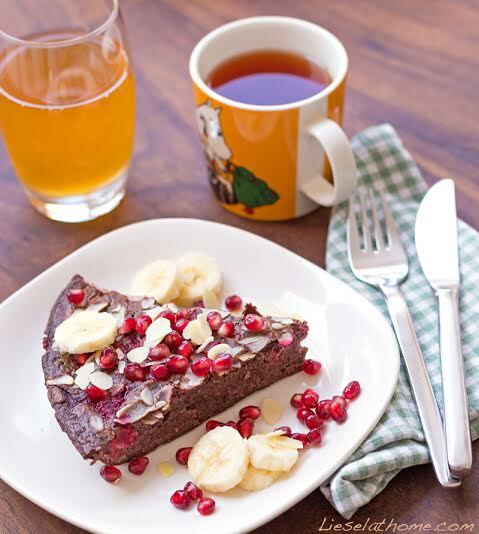 Top with banana and pomegranate seeds.